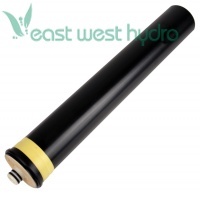 The Merlin-Garden Pro comes with two of these RO membranes elements. As long as you keep the pre-filteres clean or your inlet water is not beyond the recommended parameters, these should last 2-4 years. When it is time to replace them, you need to get a pair. Dimensions: 19in. × 3in. × 3in.